The "war to end all wars" was a bloody war with three quarters of a million Britons dying on active service and over one and half million wounded. The war touched every community and the parish of Felmersham was no exception. Sixty four people were called to service and 16 failed to return, a further 3 died within two years from their wounds. 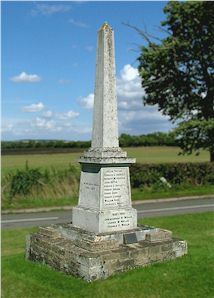 Erected in 1920 by public subscription the war memorial records the deaths of all 19 parishioners who gave their lives. Of the two plaques in the church, one records the deaths with dates of the original 16 and the other records the names of the 45 Parishioners who offered their lives for their country, but were not required to lay them down. The woman who died was Helen Taylor, she served as a nurse and was the married daughter of Henry Hilton Green. A local ARP hand bell used to alert people to a likely aerial attack. Whilst serving in Flanders, Ernest Rust was badly wounded in the stomach and lost consciousness. He was brought to Portsmouth hospital still unconscious, he survived and lived a hale and hearty [life] and the father of a family; a wonderful living testimony to the efficiency of our Medical and Transport Services during the Great War. The Second World War left its mark on all communities, large or small. However, in terms of damage to property, Felmersham escaped with only superficial damage. The windows in Felmersham church were damaged by explosions from disposal dumps, a flying fortress crash near the village and a bomb was dropped in a field near Carlton Road. East Anglia was the base for the largest fighting force ever assembled (500,000 men and women of Bomber Command) and the logistics of the support operation would have impacted upon the parish. 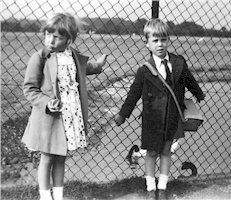 For instance the Nature Reserve was the result of excavating sand for Thurleigh airfield. With airfields in very close proximity to the parish and with Felmersham and Radwell on the Thurleigh flight path, the skies would have been very active with low flying American bombers. The War Memorial "Lest we forget"
The local community played its part in the war effort and one family paid dearly for the call to duty. Sir Richard and Lady Wells lost three sons in enemy action. Their deaths are recorded on a plaque in the church and the east window is glazed to their memory. As a further tribute to their three sons the Wells family also paid for the addition of three new bells and a bell frame in the church tower. There was an ARP (Air Raid Precautions) unit and an active Home Guard in the parish with its HQ in the stables, opposite the Grange. A trench and look out post in what is now Marriotts Close provided a clear view of the bridge and an air raid shelter was built at the Grange. It was said to be capable of protecting the whole village! During the winter, in order to conform with the blackout regulations and to conserve fuel, church evensong services were held at the Grange. 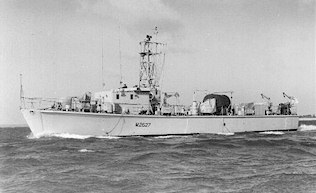 Ham Class inshore mine sweeper M2627. Built by: Camper and Nicholson. Made in Kilmarnock, Scotland and installed circa 1935-6 as part of the Bedford Rural District Council's scheme to provide water to all parishes not connected to the mains supply. There are five stand pipes in Felmersham, two in Radwell. <<< A stand pipe outside St Mary's church, Felmersham. New gates and a lamp were erected at the entrance to the churchyard in 1894 and these were replaced in 1917-18 by a lych-gate as a gift of the family of the late H Hilton Green. Lych gates are designed to provide cover for the funeral cortège at the entrance to the churchyard. 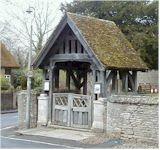 St Mary’s lych-gate was used as a model for the design of the bus shelter, which was erected circa 1938 to the memory of Christopher James and Jessie Maltby, the parents of Lady Wells. 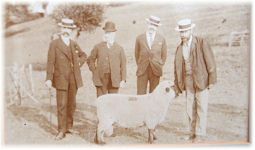 "Felmersham - The History of a Riverside Parish" Felmersham and Radwell local history book.